At the January meeting of Dublin City Council I proposed an emergency motion seeking an additional 4 ambulances for the Dublin Fire Brigade Emergency Medical Service ( DFB EMS) to resolved their capacity issues and noted concern that the service’s call and dispatch operation might be transferred to/amalgamated with the National Ambulance Service call centre in Tallaght. That concern has now escalated to a significant potential reality, so much so that Dublin Fire Brigade’s initial intention to take industrial action 0ver their capacity issues has turned into a full scale dispute over call and dispatch. Dublin Fire Brigade provides a unique fire-based EMS service that fronts 14 ambulances and supports them with local fire appliances and fire officers. It can provide this service in a most clinically effective and efficient way because all DFB officers are trained paramedics or advanced paramedics. Each officer can bring A&E expertise to the site of any medical emergency. The service operates on a zero-down-time basis meaning crews swap over to accommodate breaks to ensure the DFB ambulances are always on a call. In any one 24 hour period each ambulance could attend to a different incident every hour. So why change this way of operating? In 2014 HIQA published a review of Pre-hospital Emergency Care Services in Dublin. Its report highlighted several concerns and made 12 specific recommendations. One of the concerns related to emergency calls ‘dropping’ between the two services i.e. between the DFB EMS call and dispatch in Tara St. and the NAS call and dispatch in Tallaght and the potential risk to lives. DCC’s reaction to this was to consult with the HSE and each of the other 3 Dublin local authority CEOs and as a group unilaterally decided to transfer the DFB call and dispatch service to the NAS in Tallaght. Needless to say without evidence rationale or fire officer consultation there was uproar. It was decided to form an Expert Panel to examine the HIQA report and its recommendations. It was also agreed to put together an Ambulance Forum consisting of DCC, DFB Senior Management and officer union representatives. The Expert Panel would report and this Forum and it would come to an agreement on the implementation of the recommendations in the Expert Panel’s report. This worked well and agreement was reached on the recommendations relating to the governance and financial arrangements/funding sources. However, the outstanding piece of the jigsaw is how to prevent calls dropping between the two systems. A technical sub-group was formed with 2 telecommunication experts advising to see how the two systems could talk to each other effectively and safely. A report was drawn up with a series of different options on how to effectively proceed both in the short term and long term. This report was given to the Ambulance Forum. However, DCC pulled out of the Forum before the report could be presented and discussed rendering the Forum’s work incomplete and effectively collapsing the Forum. This raised concerns that DCC’s original plan to amalgamate the two call centres was back on the cards. In January the Expert Panel made a presentation to the DCC Special Committee on Fire, Ambulance and Emergency Management of which I am Chair. It emphasised that moving DFB call & dispatch would not only be financially inefficient but highly dangerous from a patient safety perspective reiterating that DFB’s call and dispatch is an integral link in the cycle of pre-hospital emergency care management. While the capacity issues remains, this is now the crux of the DFB dispute with DCC. This is what DFB officers are protecting. This is why DFB will be outside City Hall for our March meeting tomorrow evening. This is why DFB voted overwhelmingly to take industrial action two weeks ago. However, there is a safe and effective telecommunications solution to enable DFB’s call & dispatch in Tara St. to talk to the NAS centre in Tallaght. It can be implemented in a short timeframe and can fully address the concerns in the 2014 HIQA report. Therefore, there is no rationale for amalgamating the two centres except for the yet to be understood rationale of DCC. This is why DFB EMS is calling for your support in their campaign. As the trolly count increased in our hospital A&Es, recent days have shown us how much we depend on the effective resourcing of our emergency medical services. However, another crisis is about to emerge in Dublin City and County’s pre-hospital Emergency Medical Services. We are extremely fortunate to have a world class fire based pre-hospital Emergency Medical Services (EMS) operated by Dublin Fire Brigade. This highly efficient and highly effective service is unique in Ireland but quite common in the US and Canada as well as Europe’s major cities. Currently Dublin Fire Brigade has 12 ambulances and 23 fire tenders. Both ambulance and fire service crews are fully trained paramedics or advanced paramedics who can bring expert medical care and treatment to the site of any medical emergency. The service includes a call and dispatch service that ensures all crews are effectively deployed to emergencies. Where necessary call & dispatch operators, who are all medically trained, can talk a caller through the administration of CPR until officers arrive. The service operates on zero down time meaning that ambulances are continuously available 24/7 365 days per year with fire officers deployed to ambulances to cover crew breaks to ensure no break in availability. Last year the service responded to 115,000 calls representing 40% of the national volume, an increase in calls on 2015. However, an increase in calls and incidents means 12 ambulances are not sufficient to effectively meet needs. Dublin Fire Brigade has evaluated the current situation and indicated that an additional four ambulances would allow the service to safely meet emergency needs arising across its operating area of Dublin City and County. We currently have a crisis in hospital A&E services, Dublin citizens’ do not need a crisis in pre-hospital emergency medical services! That the Members of Dublin City Council acknowledge and commend the effective, integrated, co-ordinated and vital emergency fire and medical service provided by Dublin Fire Brigade to the citizens of Dublin City and the greater Dublin area. The emergency ambulance service in Dublin is a Fire Based Emergency Medical Services (EMS) model which is a unique public safety model reflective of best practice internationally in urban areas and is provided in accordance with Section 25 of the 1981 Fire Services Act. However, the Members note, with concern, that Dublin Fire Brigade Ambulance service is currently operating over capacity, resulting in an unacceptable increase in patient waiting time, and therefore call on DCC management to make an urgent request to the Minister of Housing, Planning, Community and Local Government to immediately make funding available for 4 additional fully crewed ambulances to the service, being the minimum number of ambulances needed to meet current and projected short term demand. The Members also recognise the report of the Expert Panel Report on Pre-Hospital Emergency Care Services Dublin published in December 2015 as an agreed solution to address the recommendations made by the Health Information and Quality Authority (HIQA) report into Pre-Hospital Emergency Care Services published in December 2014. However, the Members note, with concern, the suggestion that the Dublin Fire Brigade call and dispatch service based in Tara Street Station would be transferred or amalgamated with the NAS call and dispatch service in Tallaght (not a recommendation of either the 2014 HIQA Report or the Expert Panel Report). In light of the foregoing, the members, through this motion, instruct Dublin City Council management a) to bring any proposal or joint proposal to the attention of the other Dublin local authorities and the Eastern and Midland Regional Assembly as required under Sections 32(2) and 32(3) of the Local Government (Dublin) Act 1993 as the exercise of any change will have a material effect on the metropolitan interest and b) not to agree to any change in the current DFB EMS system of operations unless and until a full consultation with Dublin Fire Brigade and its employee representatives, the DCC Special Committee on Fire/Ambulance and Emergency Management and all members be held and that any changes suggested be subject to agreement of the members of this Council. This week An Bord Pleanála ruled that a particular residential unit in Temple Bar being rented out as an airbnb needed a change of planning use from residential to commercial. I very much welcome this ruling and seek now that regulations governing planning and tax aspects of airbnbs be issued by the Department of the Environment and Local Government. There are over 3,000 Dublin properties available on Airbnb. Many of these are private individuals renting out a room in their homes to tourists visiting our city or renting out there home while away on holiday themselves. Others, however are operating as commercial businesses renting out entire apartments or houses on short-term lets. Such commercial operations cause difficulties for those living in the immediate area – occupants coming and going and perhaps not being vigilant or security conscious particularly those renting in an apartment complex. These commercial operations have also had a negative impact on housing supply. There are over 750 families currently living in hotels while several hundred ‘entire homes’ are available on Airbnb for letting and potentially several hundred property owners using their ‘home’ for commercial purposes with no adequate regulation in a time of unprecedented housing demand. No doubt this planning decision will take time to filter down and have a real impact on housing supply. It will also have an impact on hotel and other tourist accommodation in the city. Hotel occupancy and room rates are currently very high and there are very few planning applications for housing in train. This is in a context where the hospitality sector enjoys a special low 9% rate of VAT yet continues to refuse to engage with the wage setting mechanisms such as the JLC system to improve wages & conditions for hospitality workers – a debate for another day! For today, and as a member of Dublin City Council Housing Strategic Policy Committee where my key focus is the increase of housing supply in Dublin, this decision is a small win for supply. I commend Dublin City Council for taking the case and encourage others to ‘report’ unauthorised commercial use of residential properties to the Planning Enforcement Section of DCC. I’ve always believed if there is a will to do something then there is a way – we just have to find the courage to grasp the nettle. Child care is one such issue that needs to be radically flipped on its head and viewed from a visionary perspective. 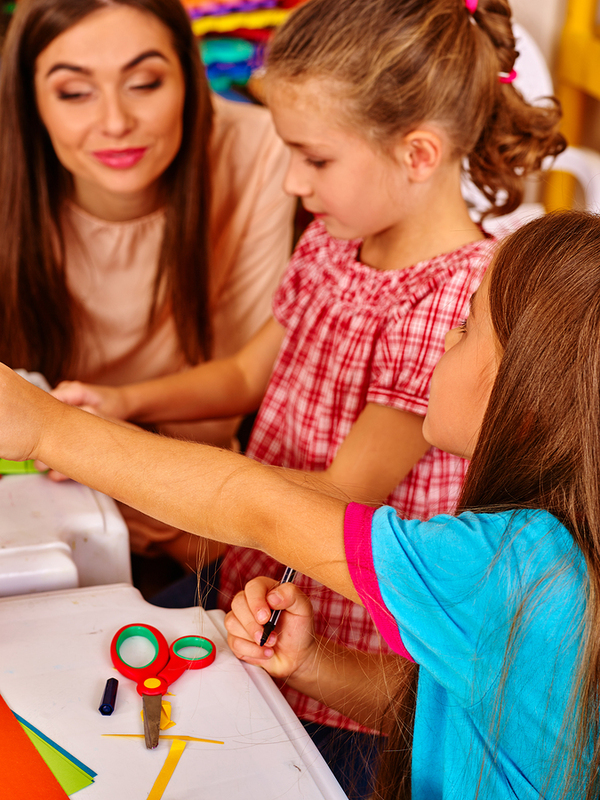 For too long we’ve tinkered at the edges – Budget 2006 provided parents with a €1,000 childcare supplement which was thankfully scrapped in favour of one year free pre-school provision of three hours per day, five days a week over a 38-week year in 2009. This provision has been very gradually increased but is still woefully inadequate both from a working parents’ perspective and from the childcare workers’ perspective given that it requires too many to be without work for up to 14 weeks during the summer. And here we go again, a new subvention for childcare in Budget 2017 but still no vision. What we need to ask ourselves today is what type of childcare provision do we want for all children from the ages of 6/9 months until they begin primary school – set it out and achieve it, not in drips and drabs but in as short a timeframe as possible, just as Donagh O’Malley did when he announced free secondary education. 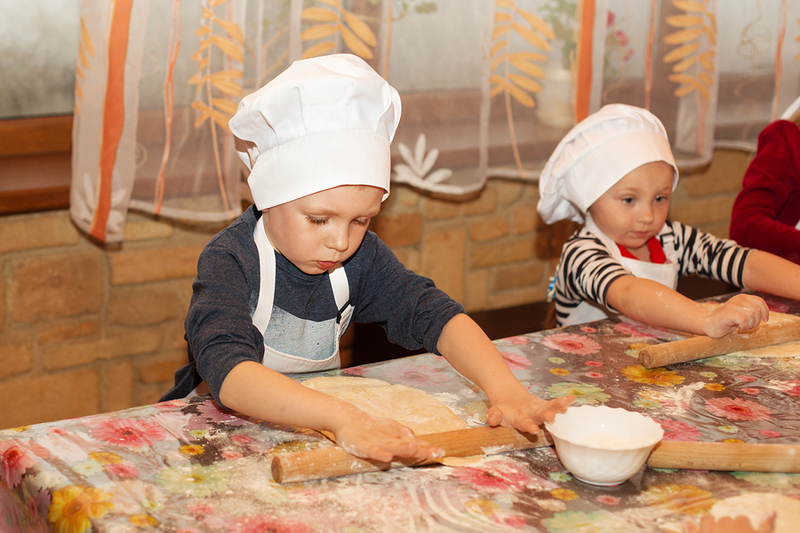 A range of facilities, including small from-home self-employed childcarers, would be certified to provide high quality, best-practice based childcare. Of course there are challenges in taking such a leap of faith. The reaction of some commercial providers to potential loss of current profits – however, a scheme under which the state could acquire premises/businesses could be set up to allow those not wishing to join the national system hand over their facilities. However, there are also significant benefits. With expediency and determination we could realise such a national universal childcare system within 3/4 years. Parents would be relieved of enormous financial burden of commercial child care costs generally concentrated within a 4 – 10 year period and, it could be argued, use their spare cash to contribute to the local domestic economy. The question however that arises is who will be our Donagh O’Malley? I don’t need to repeat the appalling homeless and social housing list statistics – they are to the fore of all Dublin City Council officials and councillors as we attempt to alleviate the suffering of those who do not have a safe, secure and appropriate place to call their home. Nor do I need to emphasise that housing supply is central to such alleviation. However, what needs recognition is that those who push populist solutions to our housing crisis often end up delaying and thwarting real possible solutions because they ignore legal parameters. Tonight’s debate on the Dublin City Council report on Priory Hall was one such example. In 2013, after much negotiation the Department of the Environment and Local Government provided funds to DCC to manage the refurbishment of Priory Hall and a legal resolution agreement was drawn up to underpin the refurbishment. Part of this agreement was that the original balance of residential unit tenure i.e. social housing, owner-occupier and buy-to-let, be maintained. A report to this evening’s meeting sought to begin the process of unit allocation according to the 2013 agreed resolution. The populist ultra left would like us to believe that only they have a real social conscience and that the so-called establishment doesn’t care for the ordinary man and woman. They also tend to believe that laws can be disregarded in an instant to resolve issues as they see fit. This evening they wanted to do just this and completely ignore the resolution agreed for the refurbishment of Priory Hall when they sought to change the retention of the previous housing balance in favour of almost 100% social housing. No-one argues against the need for more social housing units however this proposal failed to recognise that mixed tenure is acknowledged as a requirement for sustainable communities and that the previous Priory Hall agreement would have to be completely re-negotiated. This would cause an immense delay and no doubt expense and would probably not succeed. Such consequences were explained to the chamber by the CEO and the DCC Law Agent. Instead of ignoring the resolution, myself and my Labour Party colleagues sought to make timely housing gains for those in need within the parameters of the agreement. Originally, 20% of the units in Priory Hall were allocated to social housing so we sought to amend the agreement to increase this by 10% to allow for 30% or about 57 units out of 187 – a reasonable ask that has a much greater possibility of being achieved without significant delay or expense. We also proposed that DCC would ‘retain sufficient units so as to provide an overall owner-occupier affordable housing level of 30% within the entire Priory Hall development to support those who meet the income criteria to be eligible for local authority house purchase loans‘. This proposal recognised and respected the number of owner-occupier units of the original development but argued for a targeted opportunity (38 units) for those on lower incomes to buy units designated for owner-occupiers. Again, a workable ask within the resolution parameters that will make a real difference for those lower earners (single income of under €50,000 or a joint income of no greater than €75,000). This practicable, reasonable and workable approach won’t make the headlines but it will make a real difference to many families seeking a more secure and affordable home. It also recognises that as public representatives we have a responsibility to support the wide variety of housing requirements and to find real solutions, not populist unachievable ones, for those who need our support. All the above reflect historic core Labour Party work and, more recently, priorities outlined in its 2016 General Election Manifesto. In particular, the call for the ending of ‘if and when’ contracts, the right to collectively bargaining for freelance workers, a Living Wage and the protection of workers in ‘informal’ insolvencies and collective redundancies all build on work achieved by Senators Ged Nash and Ivanna Bacik during the last government. However, the genuine and continuous striving by Labour to enhance workers’ rights has been called into question. It was a comment below on my own Facebook by someone, whose political ideology I wouldn’t completely share but whose activism and advocacy for social justice and workers’ right I hugely respect that moved me to write this blog. Sadly he’s not the only one who holds this view as social media responses over the last 48 hrs show. Its easy to script the sanctimonious underpinnings, the deliberate pauses, the overplayed cynicism and the assertions similar to the comment I received from those politicians who, unlike Labour, are more conscious of their own image than of actually doing something about the issues they supposedly believe in. You only have to look at the current Programme for Government to see the non-importance of workers’ rights – two pages on turf cutting and a few lines on workers as Ged Nash pointed out. If you want further evidence have a look at how many Fine Gael TDs signed the Irish Congress of Trade Unions Charter for Fair Conditions at work or ask how many of them even attended Labour’s Living Wage Conference or indeed check out all previous Fine Gael election manifestos. These TDs are the same ones that the Labour Party coalesced with in the last government and yet managed to progress many worker-centred issues, most notably the introduction of collective bargaining legislation in the face of not just Fine Gael’s ideology but global anti-trade unionism. The thing is, if you can step back and take an objective view, it is evident that it is not Labour that is cynical or exploitative. Rather it is Labour that seeks to consistently exploit, on behalf of workers, every avenue that will lead to even the smallest gain towards better fairer terms, conditions and protections for them. If you look you’ll see that Labour demonstrated that in the previous government and is now pro-actively leading the way for workers in this era of new politics and therefore this motion, and indeed the Labour Party, should be supported for what it is what it can achieve for workers in our country . At yesterday’s North Central Area Meeting (Monday 16th May) I proposed a motion calling on DCC to carry out a transport assessment and a social infrastructure audit for the Oscar Traynor Rd. site. This 17 hectare site is part of Dublin City Council’s Vacant Land Initiative. It is the city’s biggest development at present with 655 housing units and a retail centre planned for the site. The development of the site needs to informed and appropriately managed so as to ensure we have both a sustainable development and potentially negative impacts for the local communities surrounding the site are mitigated against. Housing in the area is absolutely needed, there is no question about that. However, Dublin City Council need to take and lead and prepare the site so as to ensure the end result is a sustainable community with appropriate amenities, facilities and proper traffic management. At present such preparation is not forthcoming. Indeed, there seems to be a significant reluctance on the part of DCC to conduct the appropriate preparation. I am calling for a transport assessment and a social infrastructure audit to be carried out to support good planning – making key preparations simply cannot be left to those who win the contract to develop the land. When you look at the current traffic issues in the immediate you’ll see that the Oscar Traynor Rd. and the Dundaniel Rd. are highly congested at peak hours. If traffic from the 655 units planned for the site are added to this the roads surrounding the area will be at a stand still. This will have a negative knock on effect on those commuting into the city from the M1, residents in Santry Court, Aulden Grange, Woodlawn, Larch Hill, Dundaniel Rd and the Castletimon estate. A transport assessment will identify such issues and will be able to make recommendations to mitigate against them. There are 3 primary schools in the immediate area, including Gaelscoil Cholmcille adjacent to the site which is currently seeking to expand. An obvious question to ask is whether there be enough places for additional children coming into the area? 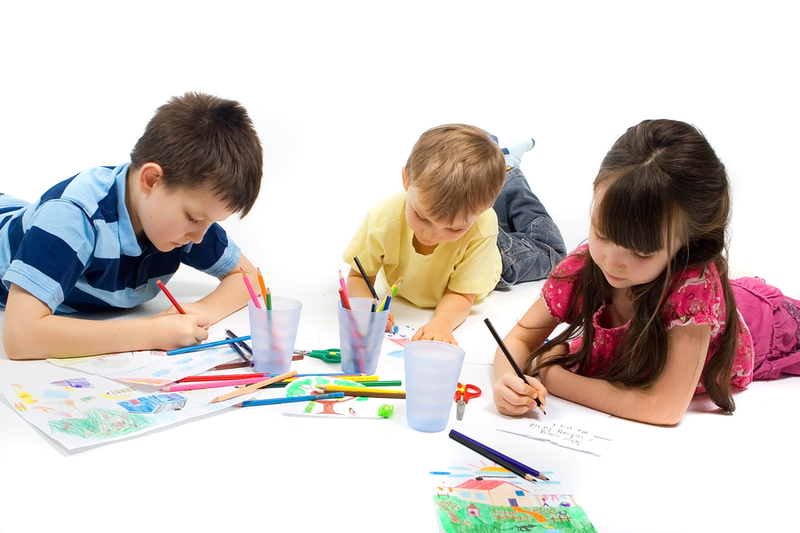 Another vital requirement is childcare facilities – there are none in the immediate vicinity. The master plan has provision for a large passive park. However, the area needs an active well thought out park with designated football pitches, basketball court, a pavilion area for residents to be active and for local schools and clubs to use. These basic needs can only be captured through a social infrastructure audit – once identified deficits can be planned for. We cannot just wait to see what the developers come up with in their plans – DCC is the only authority that can take the lead so as to ensure the new community that will be developed on the site will fully integrate with and support the current local communities around the site. b) this responsibility is detailed in any tender briefs/documentation with regard to the lands. c) DCC will use the resulting reports for each assessment /audit to inform the facility, amenity, public services, traffic and transport requirements for the development of the site so as to enable a sustainable, fully serviced urban community. e) these plans operate in tandem with progress on the development so as to realise a sustainable, fully serviced urban community, to minimise disruption and knock on negative impacts to the local communities surrounding the vacant lands development. Workers are no doubt left reeling this morning having heard IBEC’s call not to introduce legislation to prevent another Clerys or to end zero hrs and precarious working conditions. Four days out from a strike in TESCO’s against reduced contract terms and conditions, I am appalled that IBEC considers legislation that would enhance workers’ rights and provide them with greater security ‘draconian’ and ‘unnecessary’. Labour in government commissioned two specific reports: one examining company law, as a result of the Clerys take over, to prevent companies being flipped and workers left on the streets and the other an investigation into the prevalence of zero-hour contracts and precarious working conditions. The recommendations in these reports were intended to be implemented, not be left on a shelf. The government’s response to IBEC will test its commitment to a social recovery and therefore call on the new Minister of Jobs, Enterprise and Innovation, Mary Mitchell O’Connor TD, to assure workers that this government will stand up for their rights.